Crimestoppers has offered a £10,000 reward for information leading to the conviction of the killer of a retired teacher in Worcestershire. 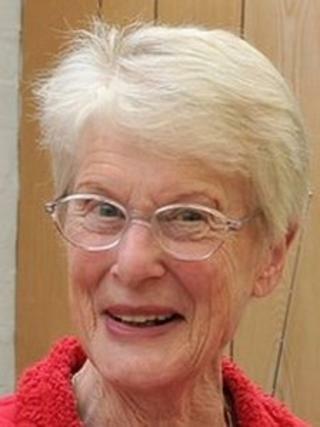 Betty Yates, 77, was beaten and stabbed at her remote cottage next to the River Severn, near Bewdley, on 2 January. Detectives are keen to trace the people who wrote two anonymous letters to them last week giving information. They also want to speak to a man, in his 20s, who was seen walking near her home at around the time of the murder. The reward offered by the Crimestoppers charity comes three weeks after Mrs Yates was beaten with her walking stick and stabbed in the neck. Detectives want to find Mrs Yates' missing keys which they say must have been used by someone involved in the death because her home was locked when she was found on 4 January. The keys were attached to a black, pencil case-sized purse. West Mercia Police said the letters had given them two new lines of inquiry. Det Ch Insp Neil Jamieson said he did not believe the typewritten letters were sent by the same person. He said: "The letters give different information - I do not believe they have been written by the same person and I appeal for both those persons to come forward." He said one letter was delivered to a local police station through the post, the other was sent to the major investigation unit. A driver reported seeing a man in his 20s wearing a thigh-length dark-coloured jacket walking alone along a road at about 20:30 GMT on 2 January. Mrs Yates' body was found at the foot of the stairs by a friend two days later. The walking stick and the knife used have been recovered.